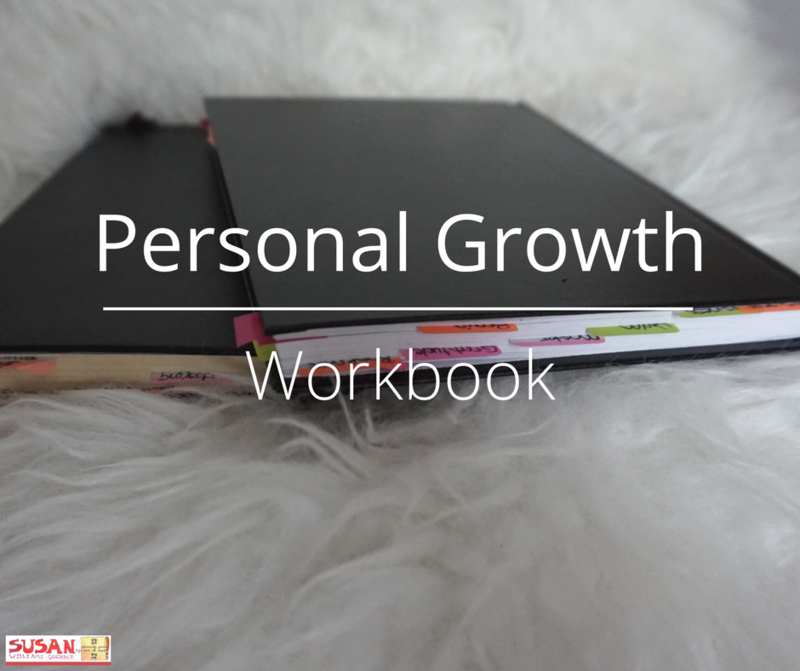 Today I would like to show you my Personal Growth Workbook. 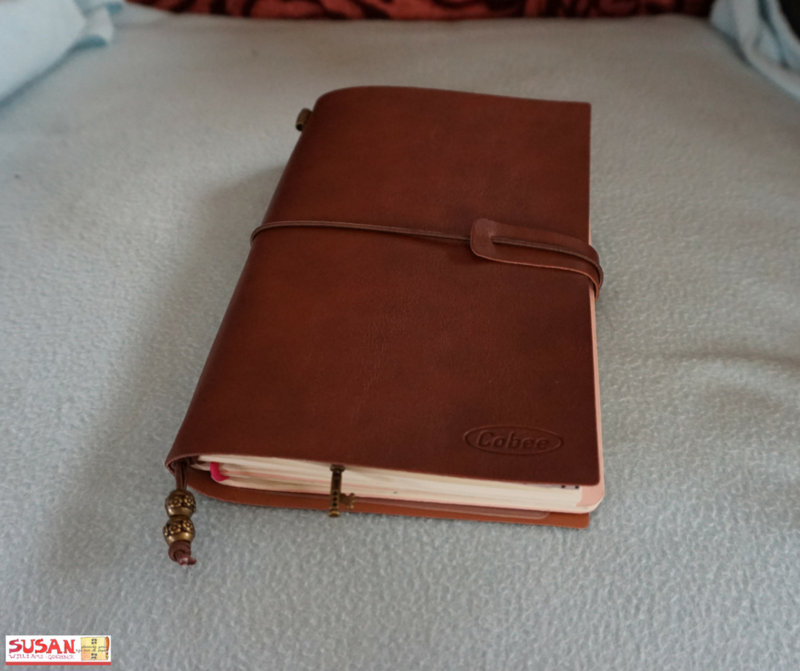 Others call it Journal or Personal log. I just call it my workbook thingy-me-bob. I got this idea from a Youtuber Clark Kegley in 2015. It was at a time when I was learning loads of new stuff online and I didn’t have a place to store my new found knowledge and hold my ideas in one place. Back then my notes were all over the place, in different notebooks, very hard to remember where I had written down what. It was very hard to keep track of where I had put my best ideas. So one day while watching Youtube (as you do) I was watching MissVickybee, and she was talking about trying out Clark’s way of journaling. So I just had to go over and watch his videos and steal his ideas and use it for myself. Now if you go back to one of my older blog posts you might just find the day I was out and about looking for the perfect notebook for this project. It was the day I was soo stressed out and went to loads of different shops to find just the right art book and pens for this project. It’s like baking and you need the right ingredients to make the perfect cake, well I needed the perfect art book as instructed. Yep, I did have enough notebooks at home butttt it just had to be the right one. Also, my thoughts were that there had to be a good reason why he wanted to use an art book. Looking back that was a load of crap, you can use any notebook you like. This year I’m using the Travellers notebook below. But I did start off with the ones above. I left the front pages free to doodle (or try to doodle) on and for quotes. I also added tabs so that I could find my sections loads faster. Then page flags as under tabs used to find my ideas that I needed. This book became my go-to workbook for everything knowledge, ideas and information keepsake. I now had a place I could store all my webinar, workshop thoughts, thoughts on books that I had read or mastermind meeting notes. This made my life way easier and I knew which book to grab and take notes in. The pages that I used the most were the business sections, brain dump, video notes, mastermind meetings and blog post ideas. So in 2016, I changed to a new book and fine tuned my categories. I found that I didn’t really need an art workbook and I had a Moleskine hardback plain on hand. Unlike Clark I didn’t take this book with me everywhere, it stayed at home. As you know I have my Filofax Malden that comes with me everywhere and I wrote my ideas in there, the Malden doesn’t come with me when I’m out at the shopping centre. I have a smaller notebook shown in the picture below for those days. I’ll talk about that in another post. 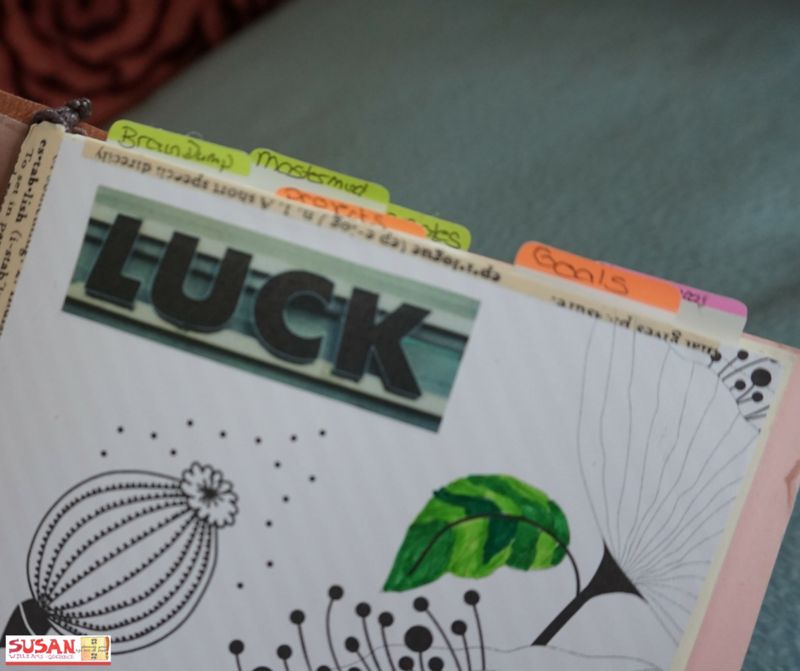 Also in another blog post, I will show you how I use this workbook. Below is a PDF that you can download and have ready to make your own Personal Workbook. Great information! Not to be a jerk but, you may want to correct the spelling in the PDF. The subtile says “Helps you crate the life you want” . Thank you soo much, I missed that. All changed now. Thanks for the ideas!! Love the TN!! Wow, such a lovely idea. I’d love to try. Looks so neat, organized, and cool! Hello Dear, I’m glad you like it. Fancy Joining us at the Diva Party this Saturday? What a great idea! I need to leard to get orgainized! Would love to have you there. I recently started bullet journalling and am always looking for ideas and inspiration to keep me on track. Reading your post was perfect timing! Thank you for making your ideas easy to follow. I am looking forward to furture posts as you have a new follower here. Thanks for sharing! I’m so pleased to have you. The next blog post is a follow-up to this post. 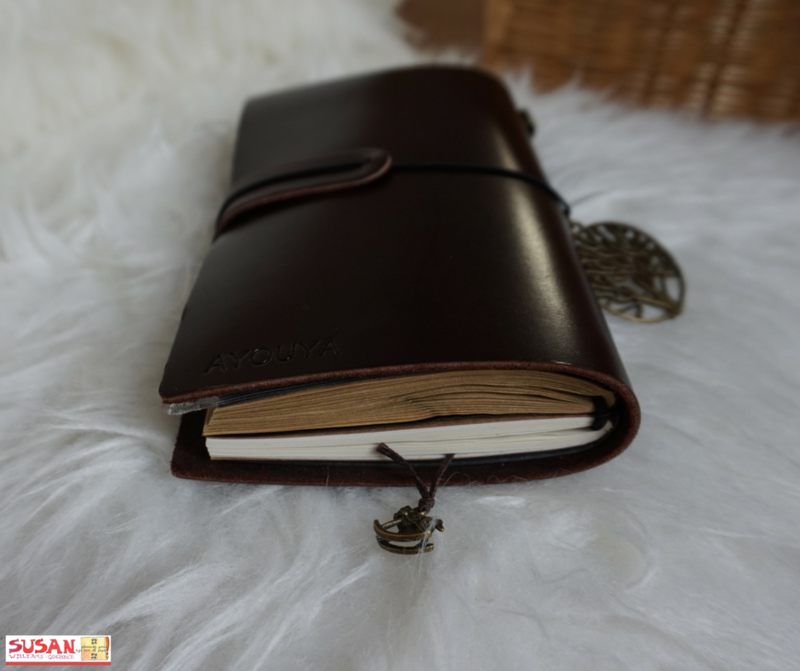 Please tell me, what is it that you like the most about your bullet journal? Lovely article with a great ides. It really helps when you are organized. I know exactly what you mean by losing an arm. I left my planner in a classroom once, I only realised this when I got home to jump on a call and realised it wasn’t with me. I had to stop the call and drive to get it. Thank goodness Kirsten knew that I wouldn’t be able to concentrate if I just left it there. Felt much better 30 mins later when I had it back. I have a variety of notebooks for specific topics too. I love it! Before when I just had one notebook for everything I would lose stuff and get confused because it was all jumbled together. As a stationery junky, it’s hard to just stick with one book, or have notes all over the place. That’s why I love the sticky tabs to remind me where something is written. Awesome work! Sound tips to things we want to be added to our personal growth. Great points – well-rounded ones at that. Need a easy fun calendar to help keep my new medical sales rep job covering 2 states bee organized. I’m a great sales rep in front of customers. But I was diagnosed withADD many yrs ago, so I struggle with organization , paper work admin, staying on time has always even a big challenge for me. My new position is responsible for (2) types of Rare Diseases in the states of FL/AL. Based on your experience CAN YOU RECOMMEND THE LERFECT CALENDAR FOR MY NEW POSITION, AS WELL AS A BUSINESS NOTEBOOK TO KEEP MY CUSTOMERS KEY NOTES DURING MY CALLS TO MAKE SURE IM F/U and provide a great relationship and service! Looking for a perfect calendar for my new position as a medical sales rep covering 2-states. The planner I would recommend is the weekview Business planner. The reason for this is that it’s elegant in black so no problems there with opening it up around clients. Also, at the back of the planner, you have plenty of room to write notes with an index so you can find them again. There are also trackers, say you want to sell 2 different products you can write down what customer wanted what and when. Or products and how many sold. If you have any further questions don’t be afraid to ask.